Do you know a dad who likes to get creative in the kitchen? 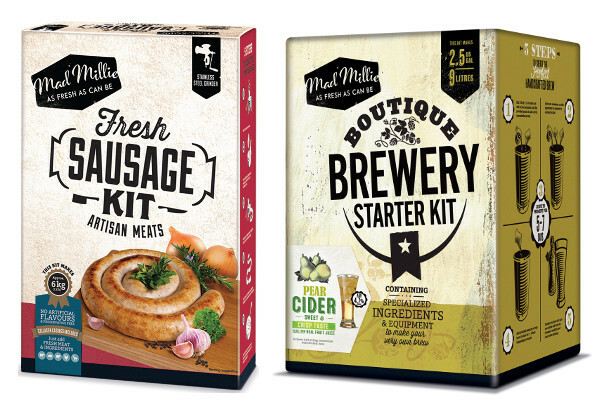 He might love one of these wonderful creator kits that allow you to make your own sausages, cheeses or cider at home. And it’s easier than you think! 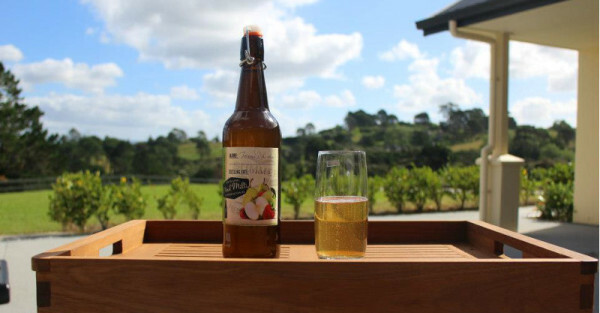 Mad Millie are a New Zealand company with a passion for delicious, hand-crafted food. They have a variety of kits with everything needed to create your own homemade food and brews. Just think how proud dad will be sipping his homemade pear cider while cooking up some Beef and Sundried Tomato sausages made with his own hands. Little hands can get involved too. The sausage kit is a great opportunity for family bonding as kids can help out with filling the sausage casings while learning about how food is made. Plus you will know exactly what has gone into the food, with no nasty additives. The cheese-making kits are Mad Millie’s speciality and you will be surprised at how simple the process can be. The Speciality Cheese Kit contains all the equipment and ingredients to make camembert, blue vein, blue stilton, double cream brie and French neufchatel. What a line-up! A gift that is sure to send dad crackers with delight. You can take dad’s love of craft brews to the next level with Mad Millie brewing kits. From light summer ciders to rich golden ales, dad can be drinking the fruit of his labours in about four weeks brewing time. You can order any of these crackerjack kits and more from Mad Millie with flat rate shipping of $8 to Australia. You may also want to check out the Mad Millie YouTube channel for helpful videos on how to use their kits. Bon appétit!